As Vice President – Development, Matt is responsible for the origination of multifamily opportunities and the establishment and management of strategic relationships in the Midwest. Prior to joining KCG, Matt worked for City Real Estate Advisors, a national tax credit syndication firm specializing in low-income housing tax credits, in their Construction and later Finance Departments. While in the Construction department, he was responsible for pre-development construction feasibility analysis and construction monitoring duties focusing on the various implications construction costs and delivery timelines have in the LIHTC industry. Matt later transitioned to CREA’s Financing Group where he was responsible for assisting in pre-development underwriting and financial structuring. During his tenure at CREA, Matt assisted in the closings of over $300 million in LIHTC equity. Prior to joining CREA, Matt worked for custom homebuilders in Charlotte, NC and Cincinnati, OH on single-family homes ranging in size from $300,000 to $12 million. Matt held a number of responsibilities with both groups, including project management, estimating, subcontractor coordination and municipal inspections. 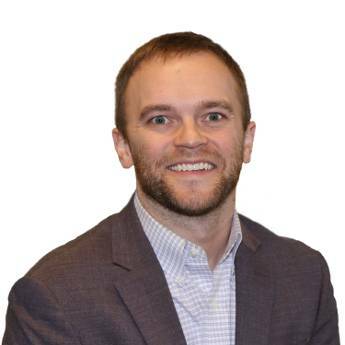 Matt has a B.S., Building Construction Management and Residential Construction Management Minor from Purdue University, is a member of the NAHB and a Certified Aging in Place Specialist. Matt currently lives in the Indianapolis area with his wife and daughter.